GCaptain had a great article yesterday called, Emergencies at Sea – Practicing What Can’t be Practiced. The takeaway message from the article is that it’s critically important not to forget the little details of any rescue and practice them as well. This also includes inspection of all emergency gear. A good example they provide is to actually pull the man overboard life ring from the wall and toss it overboard. Apparently the rings are difficult to get off the wall as they are designed not to get lost in the daily business of the ship and it takes more time then people think. 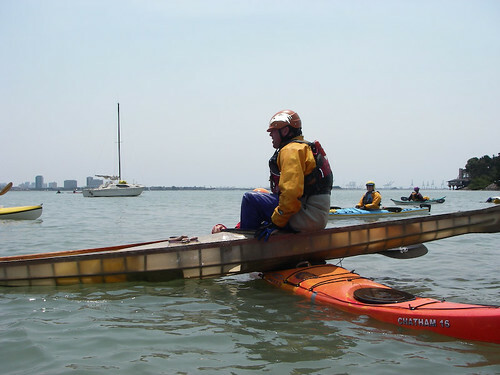 This got me thinking about rescue practice for canoes or kayaks. As paddlers we tend to focus on the primary element of the rescue which is getting yourself or your partner back in the boat. With time we get that dialled down but as you know there is a whole lot more little details that often get overlooked. Try to calling for help using your VHF radio or waterproofed cell phone while floating in the water in the actual conditions you are likely to swim in. If you have to pull gear from your boat, don’t let water get in. If you had to call for help at any point throughout your day paddle, could you be able to describe verbally your location to authorities over the radio with relative accuracy? Pull out your flares and do a full inspection. Are the instructions still legible? Are they expired and need replacing? Fire off an expired flare. Ever done it from the water? 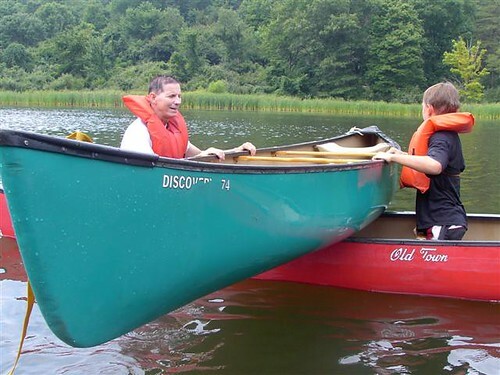 In a real emergency, can you reach them from your canoe/kayak while floating in the water? Update: Sheilap reminded me that it's illegal to do. See the comments below. Practice rescuing your partner while they are fake-injured. Common injuries include sea sickness (no balance), shoulder injuries or weak arms. How did your technique change? A dislocated shoulder can easily be faked by shoving your arm in your PFD. If you are not the “PFD-on-at-all-times” type paddler, when was the last time you fell out of your boat and tried putting on your PFD in the conditions you will likely swim? Was it harder then you thought? Have you given a good blast of your whistle lately? Does it still work and can your paddling partners hear it in high winds? Try swimming with your boat to a nearby shore. Pull out your mini first-aid kit while on water to fix a blister. Was everything you needed within arms reach? Have you got ideas for lesson common things to keep in mind? Share them in the comments below.